March 6th, 2018 — Escondido, Ca. 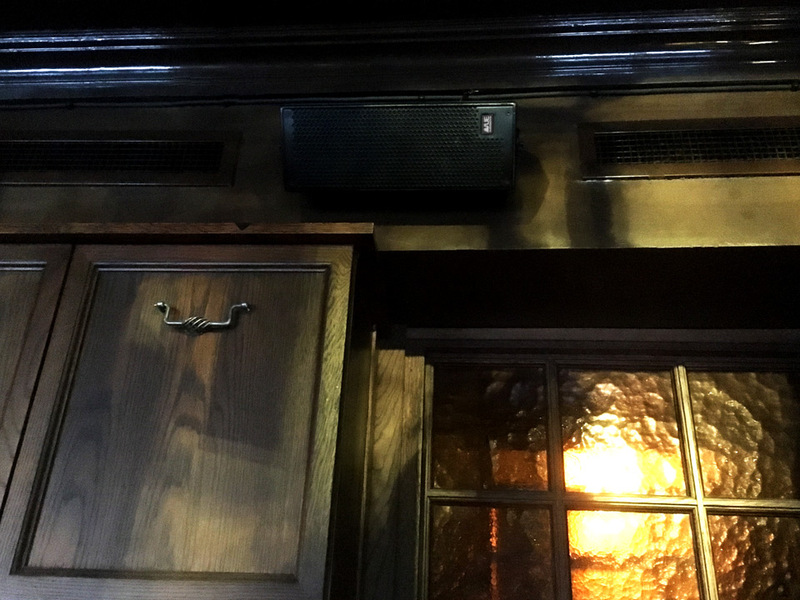 Well-known for its mix of ambiance, Irish fare and late-night live music, the Dubliner Folk Pub was in need of a sound system retrofit to deliver a more world-class sonic experience for its patrons and visiting acts. 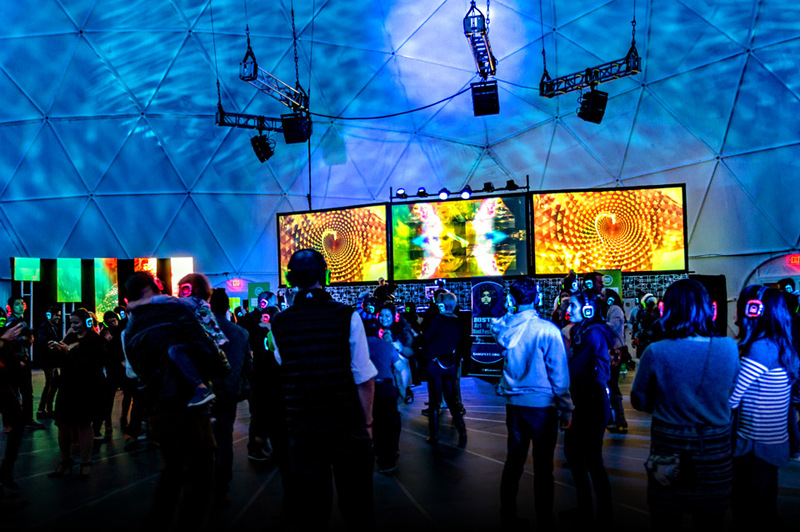 Centered around a live-stage area, the Pub hosts a wide array of local and international acts and boasts three separate themed bars, as well as an outdoor patio — a configuration that traditionally posed a variety of challenges for both coverage and sightlines. 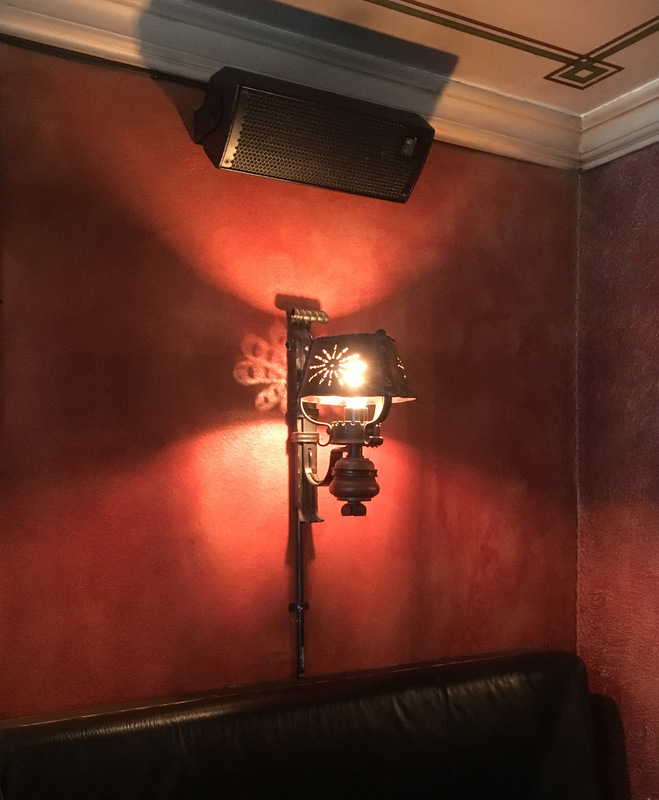 In early December 2017, based on pressure from house drummer and booking manager Luis Landa-Schreitt, pub manager Peter Nicolacopoulos called upon VUE’s Scandinavian distributor, and system installer, avon lyd, to specify a new system. Nicolacopoulos’s requirements for the new system were three-fold: exceed the sonic requirements of the pub’s demanding bands and guests, eliminate the maintenance and operating headaches that plagued the prior system, and be up and running in time for the busy Christmas and New Years’ holidays. 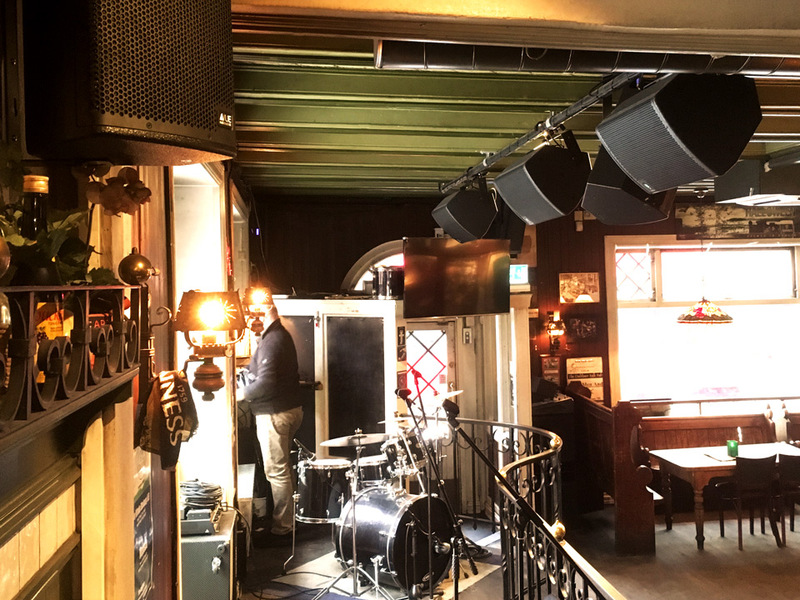 Drawing upon prior success with VUE installs in other venues owned by the Dubliner’s owner, Olaf Loly, avon specified a total retrofit of the prior system centered around the brand-new VUE a-class compact advanced performance full-range system. The new system includes a-12 two-way systems for the stage, plus a-8s, along with an as-215 subwoofer placed next to the stage. 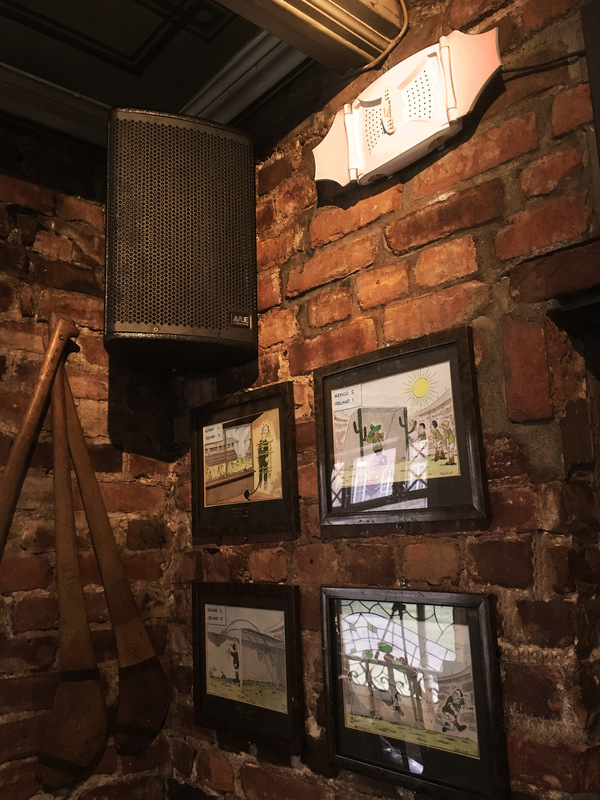 Also, a-10 systems were deployed as stage wedges, while a total of 35 i-8 full-range speakers provide fill and distributed background music throughout the rest of the pub’s three bar areas. Rounding out the system is a new Yamaha TF3 console, while retrofitted Powersoft amplifiers and a BSS BLU 160 matrix processor with new Contrio wall panels provide power and processing to the a-12s, a-8s and i-8s. A new Lab.Gruppen IPD 2400 power amplifier provides the necessary power for the a-10 monitors while ensuring short wire runs. avon also dismantled all amps, matrix and cabling and re-installed it to their stringent standards to ensure maximum stability for years to come. With the design complete, Loly placed the final order for the system in mid-December 2017. avon had the system installed, tuned, and commissioned on-budget within 7 working days and in time for the busy Christmas season.